Pokémon Go became a cultural phenomenon in 2016 by giving everyone the chance to “catch ’em all.” In augmented reality (AR), you wander around your city and neighborhood to find and catch as many virtual pocket monsters as possible. 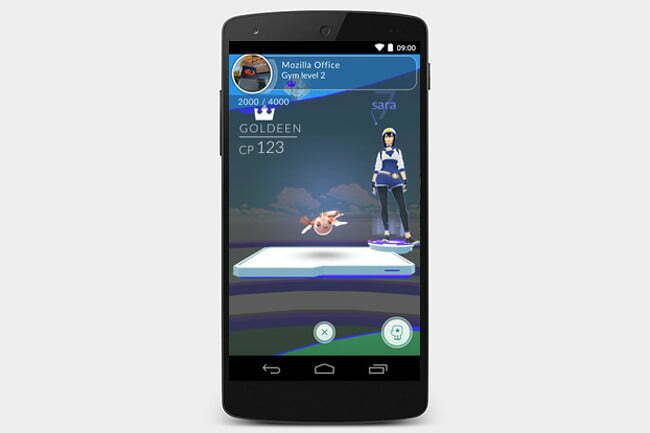 Despite how simple the game mechanics seem, there are still ways to play the game well, and developer Niantic has introduced a lot of new features since the game’s launch two years ago. Whether you have yet to begin amassing your collection, or you are well on your way to filling out your Pokédex, this article will break down all the game’s nuances and various ways to play. Pokémon Go wants you to get up on your feet and venture into the real world, and it spreads different kinds of Pokémon around loosely based on your real-life location. In town, grass- and normal-type Pokémon will often appear. If you go near water or out at night, however, you’re likely to encounter water-based and psychic Pokémon, respectively. There’s an element of randomness involved as well; sometimes water Pokémon appear in locations without water nearby, for instance, so what you find is not entirely based on your geographical location. Checking your local parks is a must, because Niantic often uses these to create “nests” of specific types of Pokémon, so they’ll appear much more frequently in those places. What Pokémon appears at what nest rotates over time, though, so get what you need quick, because you never know when a Dratini nest might suddenly turn into a Pikachu nest. Tip #1: Whenever a Pokémon appears, as long as it’s on screen, you can tap it to begin the catching process — no matter how far away it is from you. Tip #2: Don’t give up if a Pokémon flees while you’re trying to catch it. It may reappear on the map, so you may get another chance. Tip #3: Use Incense and Lure modules! Incense is a consumable item you can earn by leveling up, or purchase from the Pokémon Go shop. It attracts Pokémon to you, naturally increasing your odds of spotting a rare Pokémon. It also lowers the probability of them fleeing. Lure modules work in a similar way, but are applied to a PokéStop rather than a player. They attract Pokémon to a specific location for 30 minutes, and in doing so, benefit all players in the area. So, if you see a spot on your map with pink confetti-like animation, go there for a better chance at finding Pokémon. Add some incense, and you’re likely to be swarmed by the little monsters. Tip #4: Tune in for monthly community days and other Niantic events. These are always broadcast in your Pokémon Go app, and often focus on Pokémon from a particular region or of a particular type. The community day each month is a great way to get out and catch a specific, usually rare, kind of Pokémon as well. Keep an eye out for special events to quickly find lots of Pokémon and jump-start the path to some evolutions. Like in the classic handheld video game series, you begin your adventure by picking a starter. At first, you will be surrounded with the three classic starter Pokémon: Bulbasaur, Squirtle, and Charmander. Choosing a starter isn’t too important, as you’ll find higher-level Pokémon very soon in the game at this point in Pokémon Go‘s life, so your best bet is picking a starter Pokémon you have a good chance of evolving quickly. Which Pokémon you choose should depend on where you live; if you’re in a hotter, drier climate, a Charmander is the better choice; Squirtle if you’re near water; Bulbasaur if you’re in a more temperate, grassy area. Picking the Pokémon that fits your area increases the likelihood that you’ll be able to find and catch more Charmanders, Squirtles or Bulbasaurs in order to earn candies and evolve your starters into more powerful Pokémon sooner. We’ll get into evolution as bit more later. There is also a hidden fourth starter, Pikachu. You have to follow some simple, but specific steps in order to get the electric mouse to appear — thankfully, we’ve got a detailed guide describing exactly what to do. Pokémon Go now has a huge number of Pokémon in the game, spanning various regions and editions of Pokémon. Most are pretty common and will pop up in the wild in various places, but there are several that are harder to come by. One rare Pokémon, Ditto, mimics other Pokémon, so you’ll sometimes catch a very common Pokémon like Ratata, only for it to transform into a Ditto. And special Legendary Pokémon, like Moltres, Articuno and Zapdos, require special actions to find and capture. There’s also a new “Field Research” mechanic in Pokémon Go that basically provides daily activities for players to complete and keep them busy in the game. Field Research assignments get dished out at PokéStops, and you can work on three at a time. They usually require you to do things like catch a certain amount of Pokémon, win gym battles or participate in raids, or make special throws. When you complete a Field Research assignment, you’ll receive a reward of items, or sometimes, a chance to catch a specific Pokémon. You can complete one Field Research assignment per day to earn a stamp, which tracks your research over time. Complete a collection of seven stamps, and you’ll earn a special reward — which is usually a chance to catch a Legendary Pokémon that was previously only available if you completed a raid. You’ll want to keep the research flowing to get your chance at some rare Pokémon, but be careful not to waste your stamps by accepting rewards for multiple Field Research assignments on the same day. There are also a number of Pokémon that are region-specific: Tauros can only be found in North America; Farfetch’d is exclusive to Asia; Khengaskan roams solely in New Zealand and Australia; and Mr. Mime only hangs out in the European wilds. These designations only apply to finding them in the wild, though. Everyone can randomly hatch Tauros, Farfetch’d, and Kengaskan from 5km eggs and Mr. Mime from 10km eggs, no matter where they are. The entire point of Pokémon Go is to catch Pokémon — and you’ll find tons of the critters while out and about. When one appears, your phone will vibrate, and you’ll see them on the map. Tap one to begin the capture sequence, which will require you to flick Pokéballs (or great balls and ultra balls) at the Pokémon on your screen. Below are some tips on how to successfully capture them. Tip #1: A colored ring will appear around the Pokémon you’re trying to catch. Different colors denote the likelihood of catching the Pokémon, with green being the easiest and red the most difficult. You can increase your chances by switching to a stronger Pokéball if you have it, which will cause the ring’s color to change toward the easier colors. Tip #2: As you hold down the Pokéball, the colored ring will go from large to small. You want your Pokéball to land on the Pokémon inside that circle, and the smaller the better. Catching Pokémon is based on a probability calculation the game is doing behind the scenes, and it takes into account which Pokéball you use, how small the circle is, whether you land your ball inside it, how you throw the ball, and whether you use any items. If you land your ball inside the circle when it’s large, you’ll execute a “Good” throw, but getting it inside the circle when it’s small will give you an “Excellent” throw, which is more likely to be successful. The smaller the circle, the more experience points you get for hitting it on target, as well. Tip #3: Get good at curveball throws. If you rotate your finger over your Pokéball, you can spin it on the screen. When you throw a spinning Pokéball, it’ll curve toward your target. This can help you finesse a shot to get it inside the circle, but more importantly, curveballs add a little bit to your probability of catching the Pokémon. Tip #4: You can use Berries on Pokémon to make them easier to catch. Razz Berries are your go-to berry, as they’ll increase the probability of a successful catch, but depending on your situation, you might want to use others. Golden Razz Berries greatly increase your chances of a successful catch, while Nanab Berries will calm down feisty Pokémon so you have an easier chance of making a successful throw. Pinap Berries increase the number of candies you get for your catch, so they’re good if you’re working on a particular evolution. Berries are a random drop from Pokéstops, a reward for increasing your trainer level and for completing Field Research, and can come from gifts received from people on your Friends list. Use them by tapping on the backpack icon when attempting to catch a Pokémon. Tip #5: Pokémon will sometimes move to avoid Pokéballs, or even use an attack to deflect them. Pay attention to their movements so you don’t waste too many Pokéballs trying to catch them. Their distance to you can also affect how quickly you can capture them — close is easy, but when they are further it can be trickier. Nanab Berries can help with this by calming Pokémon down. Tip #7: If you’re having trouble catching the Pokémon due to its position on your screen, or you simply don’t want to be pointing your phone at random angles to find them, turn off AR mode. This can help make catching Pokémon easier especially while walking as they will stay centered on the screen (you’ll also cut down on Pokémon Go‘s battery drain). This does sacrifice some of the game’s charm, but it pays to have stability when you’re trying capture that coveted Dragonite. Tip #8: Pay attention to the weather. 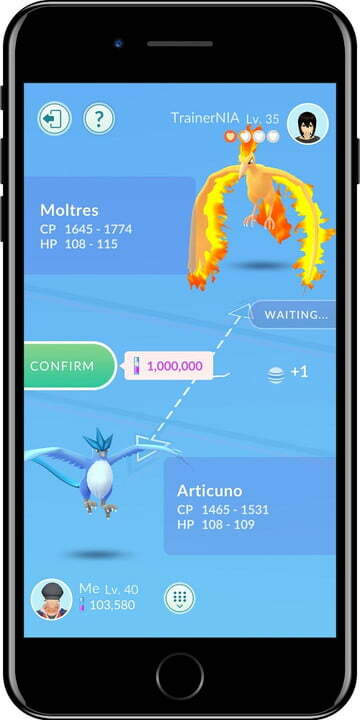 Niantic’s new weather system changes which Pokémon are likely to appear based on what the conditions of the day are, and you can find out how weather changes things by tapping the new weather icon in the top-right corner of the screen when on the world map. 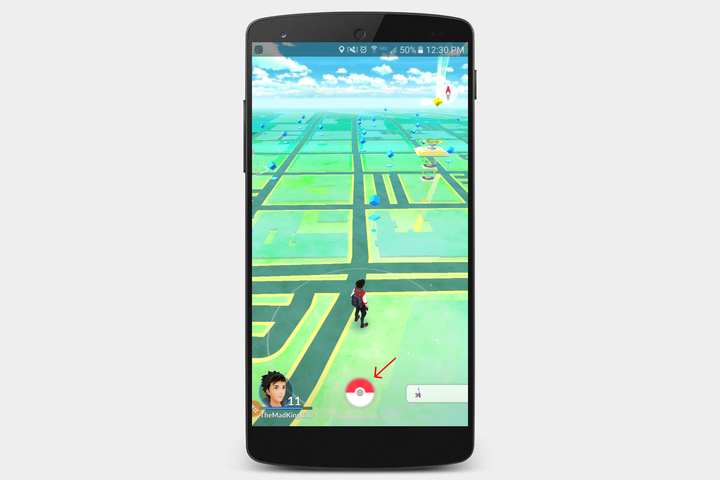 Pokémon effected by the weather will be ringed in white when you see them on the map, and you’ll get bonuses for catching them. Your goal may be catching one of every Pokémon, but you need to grab many Pokémon to be successful in Pokémon Go. The only way to power up and evolve your Pokémon is by feeding them candies and Stardust, which are collected by catching Pokémon, hatching Pokémon, making a Pokémon your buddy and walking with it, and by transferring them to Professor Willow. You can transfer Pokémon you don’t want by highlighting them on the Pokémon menu screen and choosing the “Transfer” menu option, and you can evolve Pokémon by choosing “Evolve” when you select one on the Pokémon menu. Evolving your Pokémon is one of the main goals of the game, but it takes effort. 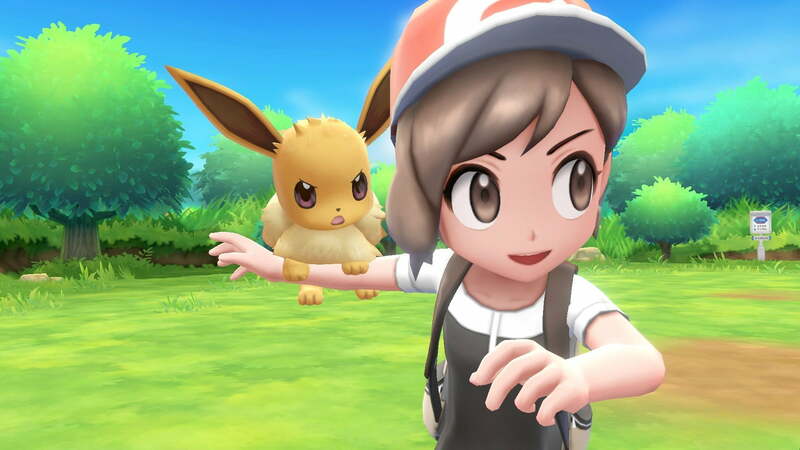 In order to evolve, say, an Eevee, you will need 25 Eevee candies, which only come from catching or hatching Eevees, or Pokémon that evolve from Eevee. Every Eevee you catch nets you three candies, and transferring them grants you another per transferred Pokémon. So, for each extra Eevee you catch and transfer, you get four candies, meaning you’ll need to catch seven Eevees in total to evolve just one. Different Pokémon evolutions require different amounts of candies. Evolving a Ghastly to Haunter, for example, only requires 25 Ghastly candies, whereas evolving a Haunter to a Gengar will require another 100 Ghastly candies. If you want to evolve a Magikarp to a Gyarados, you’ll need a whopping 400 Magikarp candies. Buddies: Niantic added a system to Pokémon Go that lets you earn candies for a specific Pokémon type even without catching it, but it can be a tedious process. It’s called the Buddy system, and it lets you designate one Pokémon to act as your “buddy.” when you walk around the world. All that means is that Pokémon Go tracks the distance you walk, and every time you hit a certain milestone, you earn one candy of your Buddy Pokémon’s type. Different Pokémon have different distances of travel required to earn a candy, with rare ones requiring more walking. You should always have a buddy set, since you’ll passively add Pokémon candies to your inventory, and this can help you get some of those key evolutions a little faster. A Note about evolving Eevees: Unlike in the main Pokémon video games, which require you to give Eevee a special elemental stone to evolve it into either Flareon (fire), Vaporeon (water), Jolteon (electric), Umbreon (dark) or Espeon (psychic). Pokémon Go randomizes your Eevee evolution. However, there’s is a trick to evolving your Eevee into what you want it to be: by naming your Eevee one the names of the Eevee characters in the Pokémon anime series — Sparky (electric), Rainer (water), Pyro (fire), Sakura (psychic) or Tamao (dark) — you can force them to evolve into the Eeveelution corresponding with their nickname’s element. You can only pull that trick on one Eevee, though, so be sure you know what you want (Vaporeon tends to be the best Eevee evolution for battle). A separate trick lets you evolve Eevees reliably into either Umbreon or Espeon. It requires you make the Eevee you want to evolve your buddy. You then need to walk 10 km with that Eevee and earn three Eevee candies while doing so. Finally, while the Eevee is still your buddy, evolve it — if you do the evolution during daylight hours, you’ll get an Espeon; at night, an Umbreon. One more thing: Transferring Pokémon is not reversible; you won’t be able to get transferred Pokémon back. Only deposit the weaker extras of the same Pokémon, and hold on to your strongest one. Evolve to raise your trainer level: The nature of Pokémon Go means you’ll be collecting tons of Pokémon all the time, and not all of them will be in your slate of battle-ready fighters. Many common Pokémon will just be readily available and pile up in your Pokémon box until you transfer them away. These Pokémon aren’t useless, though — you’ll want to keep evolving them when you get enough candies, even if you immediately transfer them right afterward. Evolving Pokémon gives you a big boost in experience points, so it’s one of the main ways by which you’ll increase your trainer level. A higher trainer level means stronger Pokémon, plus big rewards each time you earn a new one, so you want to constantly be climbing higher and higher. Generally, keep catching common Pokémon when they present themselves, but once you’ve got all the evolutions you need for a particular common Pokémon, narrow your focus to only those with low evolution costs. That way, you can earn experience fast off Pokémon that are everywhere, like Pidgeys, without gumming up your Pokémon Box with a ton of Zubats and Ekanses that are tougher to evolve. As you level up, you won’t need to catch every Pokémon you see, so pay attention to which ones are worth grabbing, evolving and using to level up, for the sake of efficiency and saving your items — and your time. You’ll catch a ton of Pokémon in Pokémon Go, many of which are copies of each other, and at first the only indication that one Pokémon is better than another is its “CP” rating. CP, or Combat Points, is a measure of how effective your Pokémon is in battle. CP is actually an aggregate score based on the Pokémon’s stats that you can’t see, though: attack, defense and stamina, plus its HP, or Health Points, and your overall trainer level. 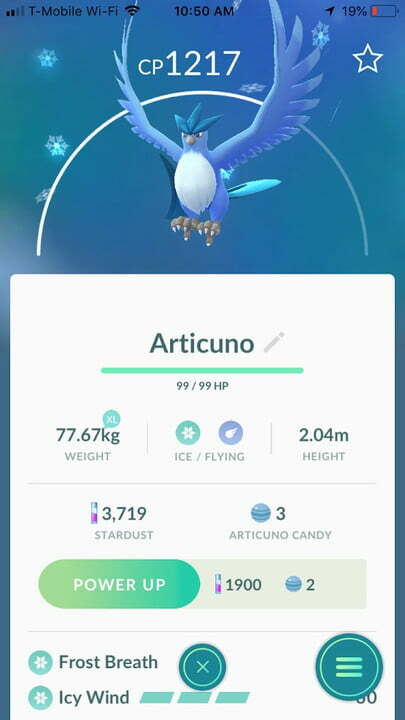 Evolving a Pokémon will give it a serious boost to its stats and CP rating, but how high an evolved Pokémon can go is based on its CP level and stats as they’re generated when you catch it — a Pokémon that starts low will always be relatively low even if you evolve it, and a Pokémon that starts high can come out of evolution extremely powerful. It pays to keep and evolve only the best Pokémon you find. In general, you want higher CP Pokémon to evolve over lower CP Pokémon, but just because a Pokémon has a high CP doesn’t mean it’s actually very good. Since you can’t see the underlying stats, you won’t know if the numbers are getting goosed because it has one high stat and a bunch of low ones, for instance. To get a better sense of whether a Pokémon is good enough to warrant evolution, or whether you should toss it to Professor Willow, we need to dig deep into the CP system. 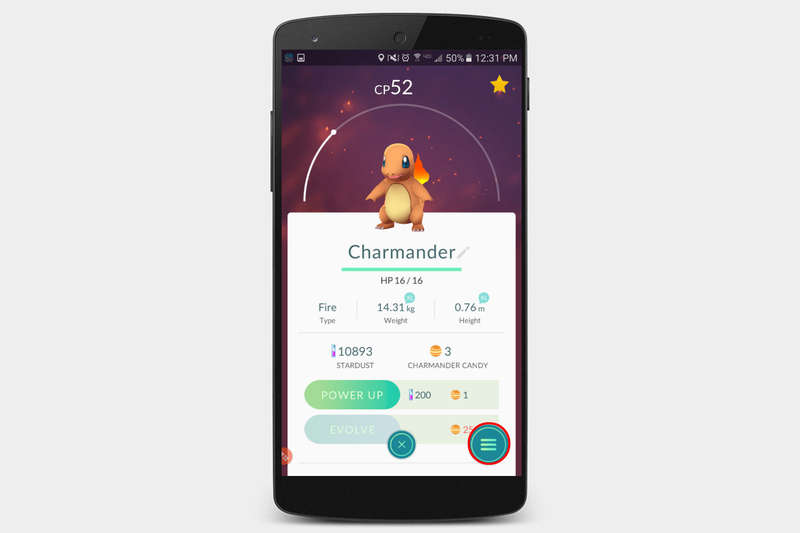 In addition to evolving Pokémon, you can choose to “Power Up,” a system that increases their CP in small bursts. Powering up your Pokémon is one of the more complex aspects of the game. On the surface, it seems simple: Players give their Pokémon Stardust, a currency you earn by catching Pokémon and by winning gym battles and raids, and candies to increase their numbers. 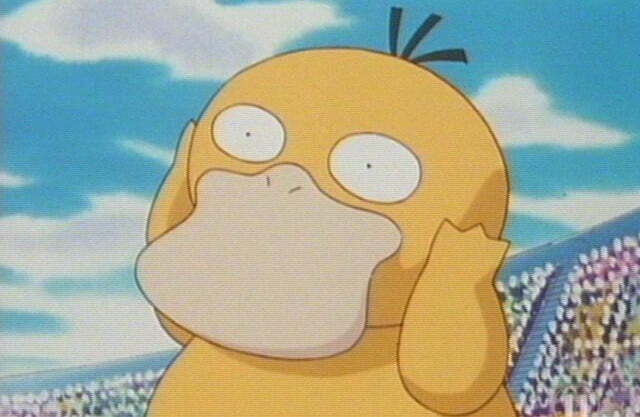 Like evolving, powering up increases the HP and CP of your Pokémon, but at a slower rate. The more you increase a Pokémon’s CP, the more Stardust you will need to upgrade it. In general, Pokémon with higher CP will beat Pokémon with lower CP in battle, but that isn’t always the case thanks to its underlying stats. 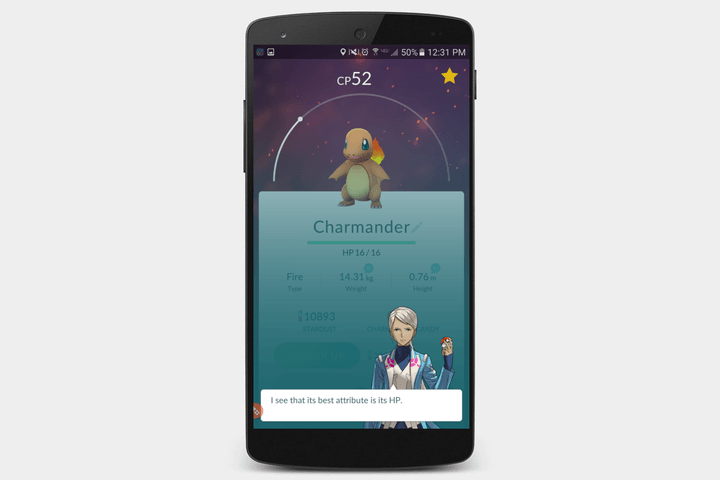 Instead of a number, players get to see the Pokémon’s CP “potential,” which shows its level on sliding scale relative to your trainer level. You can upgrade your Pokémon up to 150 percent of your current trainer level, so the CP cap a particular Pokémon can reach is measured by a white arc when you select it on the Pokémon menu. As you power up the Pokémon, that arc will fill toward the right side, and when it’s completely full, you won’t be able to power up that Pokémon any more until you increase your own overall Trainer level through experience points. Each time you power up a Pokémon, you increase its level by one half. Though the game does not show you any of this information, the Pokémon Go community dug in and mapped it out nonetheless. Based on their findings, every Pokémon is naturally more effective in one stat than the others. Dragonite has the highest possible attack, Chansey has the highest possible stamina, and Blastoise the highest defense. (You can check out the entire list of Pokémon in Pokémon Go and their stats on this handy fan wiki page). There is also another set of hidden stats called “individual values” that affect the CP-earning potential for each individual Pokémon, including how much CP it earns each time it is powered up and its maximum power level. These values, which are randomized and range from zero to 15, act as a multiplier that affect how much each of a Pokémon’s base stats (strength, defense, and stamina) increase when you power up. Individual values differ, from Pokémon to Pokémon, even among creatures of the same species. If you catch a Pokémon with a high CP, but a lower potential (level), it probably has a higher individual value for at least one base stat. Since launch, developer Niantic Labs has taken a step towards letting competitive players check the stats for their Pokémon. If you want to get a general sense of a Pokémon’s individual values before giving it away, you can use the “appraise” feature to get a vague sense of its strengths. Keep reading for a detailed guide for using and decoding their messages. There is a handy user-made breakdown of all the equations for stats and CP available here, for those so inclined to get granular with their Pokémon. If this all sounds complicated, that’s because it is. Bear in mind that a Pokemon’s stat values are randomized, which makes creating the most powerful possible team a bit of a toss up. It becomes even more of a toss up when you factor in that move-sets for Pokémon are also random, and are randomly re-selected every time they evolve. Some moves are definitely better than others, so getting powerful Pokémon is a combination of good stats and catching a strong set of movies. Luckily, there are items you can earn in the world to “re-roll” a Pokémon’s move set, so you can try for a better slate of abilities if you find a strong Pokémon is lacking in combat effectiveness. Hold off on powering Pokémon: As a general rule of thumb, hold off on powering up your Pokémon before they’re fully evolved, as evolving is a better use of your candies anyway. The vast majority of Pokémon you catch and evolve will never see battle, so save your Stardust for only the Pokémon you actually care about and whose moves you’re happy with. You are also more likely to find Pokémon with higher stats as your trainer level rises, so powering them up doesn’t add much value in the early stages of the game. Another handy way to collect Pokémon that aren’t readily available in your area is by hatching Pokémon eggs. You collect Pokémon eggs as rewards for leveling up, randomly at Pokéstops, and as gifts from friends. Eggs do require a couple things in order to hatch, however. First, you’ll need an incubator. 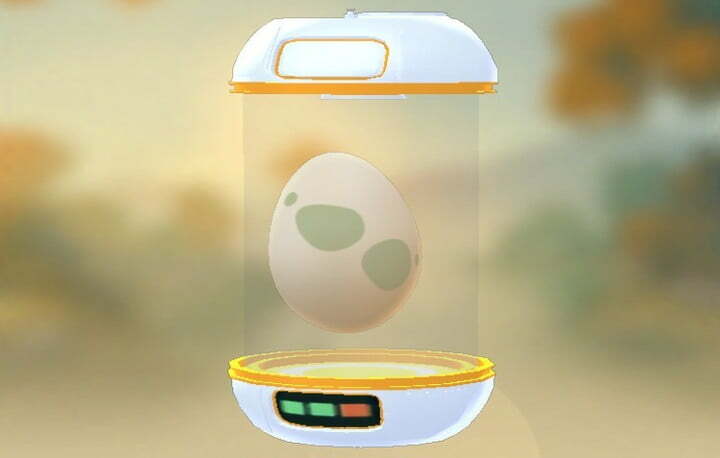 Trainers will be rewarded with an incubator with unlimited uses early on for leveling up, and you’ll also sometimes get limited-use incubators as rewards for leveling; they’re also available for purchase in the Shop menu. When you have an egg you want to hatch, select it on the Egg menu to pop it into an incubator, and then start walking. 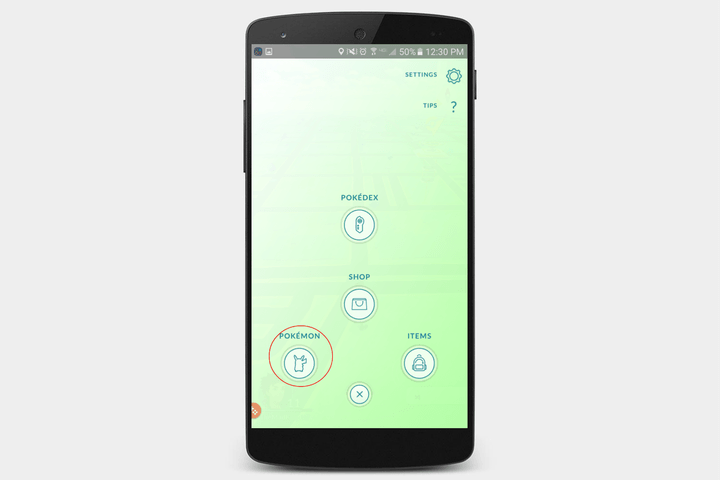 Each egg will have its own distance requirement to hatch it: Either 2km, 5km, or 10km. Once you’ve walked the required distance, the egg will hatch. The longer the distance requirement, the more likely the egg will contain a rarer or stronger Pokémon, but each kind of egg has its own specific slate of Pokémon that could appear inside it, so you don’t only want to focus on 10km eggs at all times. Hatching eggs with shorter distances will often yield more common Pokémon, but with the upshot that you’ll receive more candies and Stardust than you would from merely catching those Pokémon. Note that while many Pokemon are hatchable from eggs, only the first level evolution or non-evolving Pokemon will hatch from eggs. Keep in mind you can only hold nine eggs at a time, and any excess eggs you get from Pokéstops will be discarded, so keep them incubated as often as possible to hatch at the fastest rate possible. Lucky Eggs are in-game items that you receive as level rewards starting at Level 9, and can purchase from the Shop menu. They double the amount of experience points you collect in a span of 30 minutes. Using a Lucky Egg at the right time can seriously spike your experience points and help carry you to the next trainer level fast, if you know how to use them. One trick you can use to level up quickly is to hold onto lots of Pokémon that require few candies to evolve, such as Pidgeys, until you’re ready to use a Lucky Egg. When you activate the egg, quickly evolve all the Pidgeys you can — you’ll pull down 1,000 experience points a pop, and with Pidgeys being very common just about everywhere, this system can get you lots of experience fast. Generally, it’s a good idea to save up your evolutions While doing this, you should also try to activate a Lure Module or Incense to catch as many Pokémon as you can — that also doubles the amount of experience points you get. Fighting at a gym helps, too. Doing all this will maximize the amount of points you can get, and it’s all doubled thanks to the Lucky Egg. Pokéstops are helpful in that they award you with plenty of items like Pokéballs, things to do like Field Research assignments, gifts for your friends, and a small bit of experience points that will aid you on your adventure. They appear in the game as small blue beacons that animate as you get close to them, usually at important real-world locations and landmarks. You’ll want to hit up plenty of them to keep your reserves well-stocked and ready for whatever Pokémon you encounter. Accessing Pokéstops is usually a quick and simple activity — just tap on the stop once you’re nearby, spin the picture, and collect your items. However, there are some small ways you can maximize your Pokéstop use. First, instead of tapping on each item spawned by the Pokéstop, just spin the picture and close it. The items will automatically be added to your inventory. This is especially handy if you’re commuting and quickly passing multiple stops, or if you need to move quickly to find a Pokémon. You can also tell when a Pokéstop is about to become accessible again based on its color: Pokéstops are sky blue when they’re ready to spin, and turn purple after they’ve been accessed. They’ll slowly then turn back from purple to blue when they’re ready again — about five minutes later. If you get to know the colors, you’ll be able to tell when one is about to refresh so you can spin it again, for maximum efficiency. At some point, however, your in-game “bag” is going to be completely full of items. When that happens, you don’t have to stop accessing the Pokéstops. If you keep tapping and spinning, you’ll still get experience from those stops, even if you’re not gathering items. Your immediate next step should be to discard items you don’t want to free up space for those you do, though; go to your Items menu and tap the Trash Can icon next to any item you don’t want, and you can discard it. You’ll be able to choose how many of each item you want to throw away. It’s generally best to toss low-level potions and revives, because you’ll have far more than you need in most situations. Pokéballs tend to be more valuable. You have plenty at early levels, but at later levels they’re in shorter supply, as Pokémon become harder to catch. If you’re in a place where Pokéstops aren’t too plentiful, Pokéballs can be much tougher to come by, so you’ll want to devote as much space in your bag to them as possible. On top of the items you get from Pokéstops and leveling your trainer, there is also a store in the game where you can spend real-world money on Pokécoins to buy in-game items. These include rarer items like incense, lucky eggs, and lure modules, along with large quantities of Pokéballs and expanded item or Pokémon storage. You can also earn Pokécoins from gyms, though, and it’s a better, cheaper method than spending your real money. Unlike the classic game series, battles in Pokémon Go are relegated to team-versus-team battles over the control of Gyms, which are like big Pokéstops, located at specific locations in the world. Your Pokémon’s efficacy in battle relies on both careful planning and quick reflexes. Use this guide to make the most of your Pokémon’s combat abilities, and come out victorious. At Level 5, you’ll be able to join one of Pokémon Go‘s three teams: Instinct (yellow), Mystic (blue), or Valor (red). Although picking a team is a binding decision, which one you go with doesn’t matter all that much. All it does is determine what other players you are allied with or rivaled against in a very general sense. If you play Pokémon Go with friends, you’ll want to choose the same team they’re on, because you’ll gain benefits from working together. Gyms are currently the only way to challenge your might against other trainers’ Pokémon. They work like this: A player takes over a gym by winning battles, claiming it for their team. That player can then leave one Pokémon from their collection behind to guard the gym, and other people from their same team can also add Pokémon to the gym, to a total of six Pokémon. Other players can then challenge the gym and the Pokémon that are in it with their own team of Pokémon. Eventually, the gym will be defeated and change hands to another team, and the cycle begins again. To challenge a gym, you’ll need to be close enough to the real-world location to select it, which will give the option to begin a battle. You’ll be able to assemble a team of up to six of your own Pokémon to battle against that gym’s team. 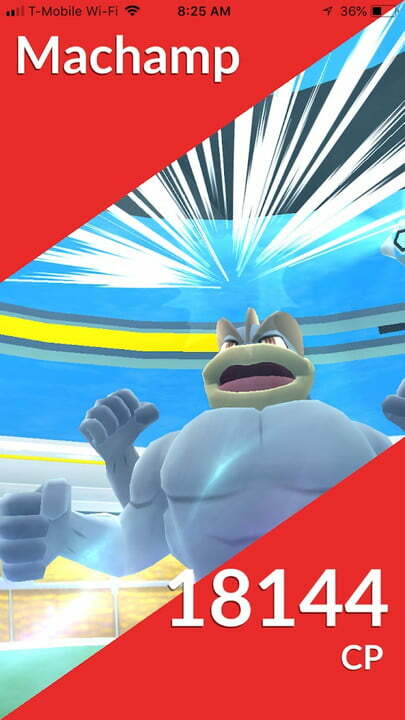 If you win battles, the CP of the Pokémon in the gym will be reduced; when it finally hits zero, that Pokémon is kicked out of the gym and returns to their trainer. You can battle a gym an unlimited number of times, so long as you have Pokémon with HP to fight in it — so this is where the use of Potions and Revives comes in. 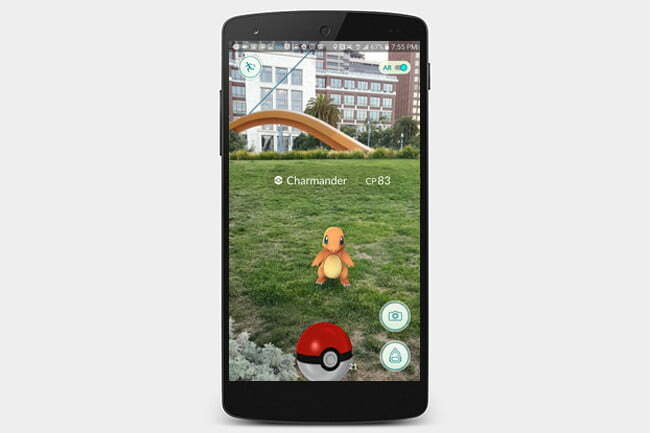 Unlike the handheld games, where battles play out in turn-based RPG fashion, Pokémon Go‘s battles are real-time, action-based affairs. To attack, you tap your Pokémon, or hold down on the screen to use a special attack. Swiping left or right will also allow you to dodge an enemy’s attacks. Dodging can be a bit finicky depending on your connection, and even laggy at times, but it’s not especially necessary to winning. If your connection is good, though, you can mitigate damage by looking for the enemy Pokémon’s attack animation and dodging at just the right moment. Tip #2: Pokémon have weaknesses and resistances based on their elemental types, such as “water,” “grass,” “fire” and so on. Pay attention to the types of Pokémon you’re going up against, and the attacks your Pokémon know. Each Pokémon knows two attacks — a basic attack and a special attack — that have a type associated with them. Peck is a flying-type attack, for example, while water gun is a water-based attack. If you’re going up against fire, take a Pokémon with water attacks, because they’ll do more damage. Other examples: water is susceptible to electric, grass is susceptible to fire, and so on. There are several elemental types in the game, and each has its own weaknesses. 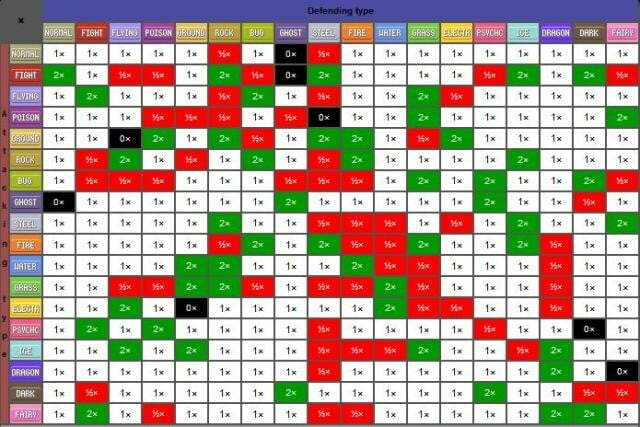 Check out the handy chart below to maximize your Pokémon’s effectiveness in battle. Tip #3: Two Pokémon of the same species will not always know the exact same attacks. You may have a Pidgey with peck, and another with tackle. Keep that in mind when building your team. Refer to our section on evolving and powering up Pokémon for information on how to get Pokémon with effective and powerful movesets. 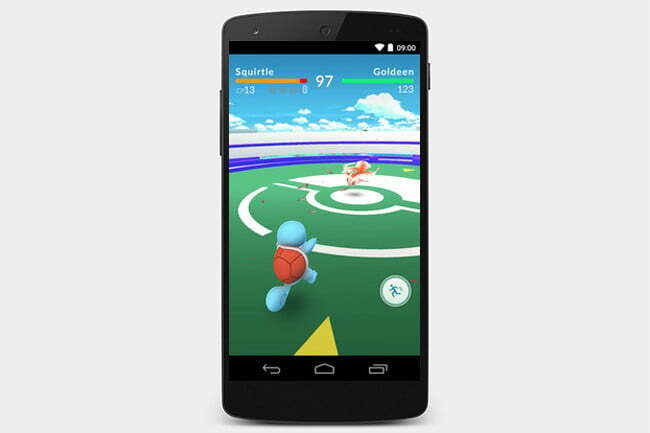 Tip #4: As you attack, tiny blue bars under your Pokémon’s health gauge will fill up. Once they’re full, you can unleash special moves by pressing and holding down on your Pokémon. Special attacks do more damage than regular attacks, but they take a lot longer to execute, which can seriously mitigate their effectiveness. Tip #5: If your Pokémon faint or become injured during battle, revive and heal them with revives and potion (both found at Pokéstops) before attempting another battle. Tip #6: Join forces with other trainers. You can fight against enemy gyms alongside other players, and that makes taking down a rival gym much easier. Tip #7: For every Pokémon you defeat at a rival gym, you’ll knock down the CP level of the Pokémon you beat. So, even if you fail to beat every Pokémon at a gym, you can still whittle down the individual Pokémon within, making it easier to take the gym later or for someone else. Again, teamwork pays off! Tip #8: The new weather system also affects battles, with weather conditions giving some Pokémon boosts to their abilities. If you’re fighting a Charmander on a sunny day, for instance, its fire-based attacks will be more powerful than usual — but the same is true for your fire Pokemon. It pays to check the weather when assembling teams, so you know which of your Pokémon will be more powerful, and which enemy Pokémon will be effected as well. Here’s a handy chart that details which elemental types get boosts during which conditions. If you manage to beat all the Pokémon at a given gym and knock them out of it, you can take it over for your team. You’ll have to assign a Pokémon to defend the gym; for a brief time after conquering the gym, you will be the only person who can place a Pokémon there. You may even come across an unclaimed gym while wandering around. If you do, post up one of your stronger Pokémon to defend it on behalf of your team. Be aware that putting a Pokémon in a gym means it will be unavailable to you for other battles until it is defeated and returned to you. The primary use for holding gyms is that it earns you Pokécoins, which you can spend on premium items like incubators and raid passes. A Pokémon earns coins for the time they spend in a gym, up to a total of 50, so it pays to get your Pokémon into gyms fairly often (especially into gyms that are about to host raids — once the raid starts, your Pokémon will be inaccessible for battles, meaning they’ll rack up time without the possibility of some other trainer knocking them out). The caveat to all this is that you can only earn 50 coins from gyms at per day, and you only get your coins when your Pokémon is knocked out of their gym. So if you have two Pokémon in a gym that both have racked up 50 coins’ worth of time, but both are knocked out on the same day, 50 total coins is all you get. Therefore, it pays to stagger your gym control out; holding multiple gyms increases your chances of getting up to 50 coins a day, but you want to try to get Pokémon in gyms so that they roll over to the next day, to earn you another 50 coins. Since Niantic changed how gyms worked since the launch of Pokémon Go, your defending Pokémon will slowly lose CP while they’re in a gym. This is to keep one team from dominating a particular gym with huge Pokémon that other local trainers can’t beat — eventually, every Pokémon will deplete in CP and get kicked out of their gym. You can delay that process by feeding Pokémon in gyms berries when you’re in proximity (and this is a good way to get rid of all those Nanab Berries piling up in your bag that aren’t that useful for catching Pokémon). Feeding Pokémon in a gym, both your own and other trainers’, increases their CP slightly. You can also send berries to Pokémon in gyms you occupy remotely, no matter how far away you are — but those berries will be far less effective than if you were physically at the gym. As we mentioned earlier, every Pokémon in the game has “individual values” for attack, defense, and stamina that dictate how powerful it can become over time. If you are curious about how strong your Pokémon can become, you can have your Pokémon “appraised” by your faction’s gym leader, which will generate a message based on their individual values. Then tap the button labeled Pokémon. This will bring up all the Pokémon you own. Click on the Pokémon you want to appraise. Next, tap the button in the bottom right of the screen to bring up a list of options. While they don’t offer a comprehensive breakdown, your faction leader will make a pair of comments based your Pokémon’s individual values. The first statement, which gauges its overall potential, is based on the sum of its three values. There are three stats, each of which ranges from 0 to 15, so the total value can range from 0 to 45. So what exactly do these qualitative statements mean? The game itself does not make them clear, however sites like GamePress seem to have figured out the underlying math. Each statement seems to place your Pokémon’s stats within a certain range. “Overall, you Charmander has certainly caught my attention,” means that the Charmander in question has total stats falling between 30 and 36 (the maximum being 45.) The statement “Its stats are noticeably trending to the positive,” indicates that its best stat falls from 8 to 12. Here is a table with the complete list of statements and what they mean. In addition to gym battles, Raids are now a big part of the Pokémon Go battle experience, and the only way to earn some of the best rewards and rarest Pokémon in the game. Raids appear at gyms randomly throughout the day, marked by a big egg sitting on top of the gym icon on the world map. That egg will have a timer, indicating when the raid will start; when it does, it’ll run for one hour. During that time, you can challenge the raid like you would any gym battle, except your team of six Pokémon will fight just one super-strong raid boss, and you’ll often need other players to defeat it. Raid bosses come in a variety of difficulty levels, ranging from 1 to 5. High-level trainers will find they can often handle a raid of anywhere between Level 1 and Level 3 on their own, but much higher and you’ll need help. Raids are designed to be massive battles with lots of trainers pitching in, and defeating a high-level raid boss can sometimes require 10 or more other players. In order to engage a raid, you’ll need a Raid Pass item. You can get one Raid Pass for free every day from any Pokéstop, but if you want to run more than one raid per day, you’ll have to purchase Premium Raid Passes from the Shop menu. All the same principles of gym battles still apply, so assemble strong teams that are elementally suited to defeating the raid boss. Another element to keep in mind is that raids, like gym battles, are timed but raid bosses have huge HP pools — meaning you’re much more likely to run out of time in a raid battle than in a normal gym fight. Your best bets for winning a raid is speedy, powerful Pokémon who can do a ton of damage as quickly as possible, especially if you’re fighting with a smaller raid group. If you want to be successful in any but the easiest raids, you’re going to need help. For players who don’t have a lot of friends who play Pokémon Go, your best bet is to turn to the internet. Communities of players have banded together in a lot of places, usually keeping in touch with each other using services like Discord, and they’re usually pretty easy to find with a Google search. Connecting with a community can help you find raid teams, since these groups tend to schedule times to head out to raids so everyone can participate. Defeating a raid boss is only the first step of the raid: When it’s done, you’ll earn some special rewards like Golden Razz Berries and Rare Candies, and you’ll get a chance to catch the raid boss Pokémon, based on your performance, which team controls the host gym, and how many teammates you had in the battle. Even with items like Golden Razz Berries, catching raid bosses is hit-and-miss, so make sure you use every trick at your disposal, including curveballs and Excellent throws. Getting EX Raid Passes: As you play raids, you’ll also have the chance to earn an EX Raid Pass during certain events. These raid passes get you into invite-only raids, detailed when you receive the pass. They’re currently the only way for trainers to earn MewTwo, one of the rarest and most powerful Pokémon in Pokémon Go. EX Raid Passes only come out randomly during the periods when Niantic chooses to distribute them, but you can increase your chances of getting one by earning Gold badges at the gyms where raids take place and by winning raids frequently — so get a group together and keep raiding to up your EX Raid Pass odds. New to Pokémon Go is the ability to trade Pokémon with friends — a feature players have been clamoring for during the last two years. Trading is a complicated system, though, and requires you to put in a lot of effort to make it work. First, there’s a new Friend tab on your Trainer menu, which allows you to add friends using a “Friend Code.” You can add friends regardless of physical proximity if you have the code, and you can interact with them in some ways even if they’re not around to play with. Your capabilities with friends is determined by your “Friendship Level” — the higher the level, the better, specifically for trading Pokémon. You can only trade Pokémon with people you’ve added to your friend list, and they have to be physically close to you in order for the trade to happen. Trades will also cost you in Stardust, but making trades earns you candies for the Pokémon type you trade. Common Pokémon you already have in your Pokédex are relatively cheap and easy to trade, but Legendary Pokémon and Pokémon you don’t have in your Pokédex already require “Special” trades, and you can only execute one of those per day. Special trades can get seriously expensive in Stardust, but that cost is heavily reduced depending on Friendship Level. You can increase your Friendship Level by conducting raids and gym battles with your friends, and by giving Gifts, new items that appear at Pokéstops. You’ll want to increase your Friendship Level has high as you can before engaging in Special trades, because the Stardust costs can be seriously ridiculous. You should also be careful about who you give gifts to when raising Friendship Levels, since you can be friends with players across the world, but you can only trade with people who are close to you physically. There’s an upshot to making friends from far away, though: If you are able to trade a Pokémon someone caught far away from the location of the trade, you and your friend will earn more candies than if they caught the Pokémon nearby. 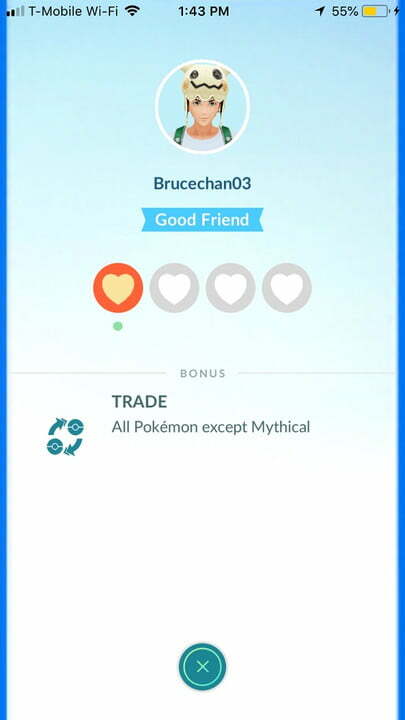 It’s an incentive to help players get Pokémon from further away from where they live, so keep it in mind as you build a Friends list and think about your trades. We mentioned Field Research above, the new system of activities that give players a reason to log into Pokémon Go every day. You’ll also get bonus items and experience points for catching at least one Pokémon every day, and for spinning at least one Pokéstop every day. Maintaining a multi-day streak increases the bonuses each day, up to seven days. You’ll also want to try to knock out one Field Research activity every day, in order to quickly get a chance at Legendary Pokémon. 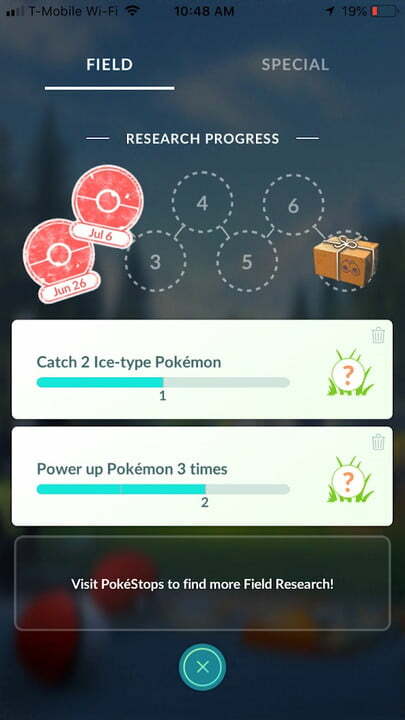 Niantic also added “Special Research” to the game along with Field Research, which is the closest thing Pokémon Go has to a story campaign. This multi-part series of tasks is the path to eventually catching a Mew, but it’ll take a lot of investment and time to get there. The good news is that, as you clear each group of three requirements in Professor Willow’s Special Research assignments (there are eight groups in all), you’ll earn a lot of rewards. A quick tip about Special Research: If you’re working on catching all the Magikarps necessary to evolve a Gyrados, hold off until you work through Professor Willow’s Special Research. One of the requirements along the way is to evolve a Gyrados, and since doing so takes a really long time, you don’t want to waste your Magikarps before you can count it on your path to getting a Mew.